For apartment hunters, few words are more enticing than these precious two: "free rent." At least that’s the notion some of D.C.’s newest and luxest apartment buildings seem to be banking on, a trend we got wind of earlier this month at the grand opening of Park Place in Petworth. At the new development, residents can get two months free rent, three months free parking, and waived security, amenity and application fees just for signing a lease. A number of other apartment buildings across the Washington area have hopped on this market-driven bandwagon. Tempting potential tenants with big promises -- and big price breaks -- developers have stepped up their move-in incentives in recent weeks, paving the way with free rent and other perks for would-be tenants in an effort to fill their buildings before the inevitable year-end slow down sets in. "Almost anywhere in D.C. you go is offering two months free, unless it’s a really high-traffic area like U Street," explains Steve Harris, marketing specialist for the Allegro in Columbia Heights, who describes the motivation behind offering move-in perks as an effort to "give everyone a fair shake." We looked around the D.C. area and found that there are a number of places that are offering enticing incentives. At Allegro, 12- to 17-month leases earn two months free rent and the choice of three months of free unreserved garage parking ($195 monthly value) or half off the $500 amenities fee. For renters signing 18- to 24-month leases, the choices are six months free garage parking or the full amenities fee waived. The Ashton at Judiciary Square is offering two months free rent, which can be taken up front or prorated throughout a 12-month lease. Short-term tenants can opt for 3-, 6- or 9-month leases with the free rent prorated to match the lease length. 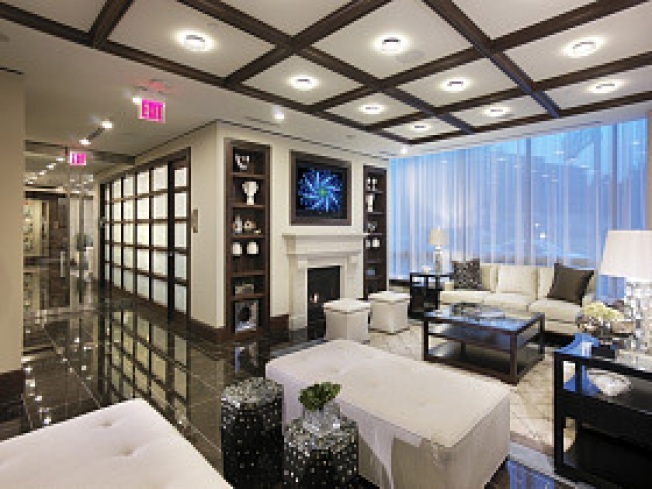 Foggy Bottom’s ultra-luxe new West End 25 -- the rental counterpart to West End 22 condos -- is offering two months free rent on 15-month leases plus six months free parking (a $225 value) on lower-level units (1-4). At The Grand in North Bethesda, two months free rent is available for leasees who move into a currently vacant apartment. If they apply within 48 hours of their initial visit, the $35 application fee and $500 amenity fee are waived as well. At Capitol Yard’s Axiom and Jefferson rental buildings, a 13-month lease nabs renters three months free rent prorated through the lease, plus free parking (which typically costs $200 monthly). The $50 application fee and $500 amenity fee is waived for those who sign with 48 hours of their initial visit, and the security deposit drops from $250 to $100. For those technology fanatics out there, Arlington’s Gramercy at Metropolitan Park is offering either an "iMet package" that includes a free iPod, iTV and iPhone or up to two months free rent. At Arlington sister property Millennium at Metropolitan Park, move-in perks include the choice between up to two months free rent or the "Met Connection" -- a free 17-inch Apple MacBook Pro and an iPhone 3GS. Of course, nobody likes giving handouts, so perks this generous will only be offered as long as the buildings deem necessary.